Need help using Easy Exif Delete? Find questions and answers to common problems below. Since Easy Exif Delete is a free product, unfortunately we cannot provide free email or phone support. Just open Easy Exif Delete and click "Select Images." Choose the jpg image or images you wish to work with. Once you've loaded the jpg's into the list, click "Delete Exif" and Easy Exif Delete will remove all exif data from those files. You may wish to work with a copy of the images if you want to preserve exif data in your original files, as the deletion cannot be undone. Easy Exif Delete only works with jpg files currently. Exif data stands for EXchangeable image file format data. It consists of a section of metadata appended to image files to store additional file properties and information. Exif data can include camera type, lens type, shutter speed and exposure, date and time, copyright information, author, programs used to edit the image, and even longitude and latitude for some photos taken with GPS enabled phones or cameras. Learn more about exif data on Wikipedia. Exif data is not bad, in fact it can be very useful for many purposes. Exif data can be problematic when sharing photos online, however. 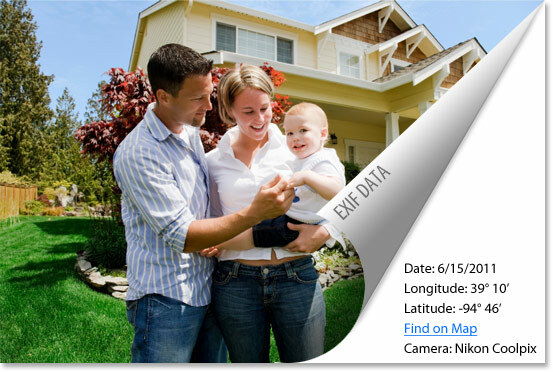 Embedded GPS coordinates (longitude and latitude) in exif data can potentially allow others to detect the exact location where you took the photo (such as your home). In fact, Adam of the Mythbusters had a problem with this when fans examined a photo he uploaded to Twitter (see this NYTimes article on exif data). If you are sharing personal photos online, it can be a good idea to clean off the exif data first. Do other types of files have exif data? Yes. Other image formats and video formats can also have exif data. Easy Exif Delete doesn't currently support those formats, but we may in the future. How to Uninstall Easy Exif Delete? Easy Exif Delete is easy to uninstall through the Windows Add/Remove Programs interface.